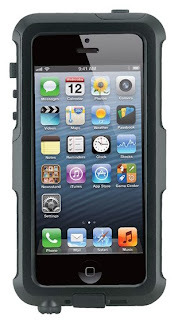 It is time for a rugged case face off and the competitors at hand come from Outdoor Tech and bike2power. 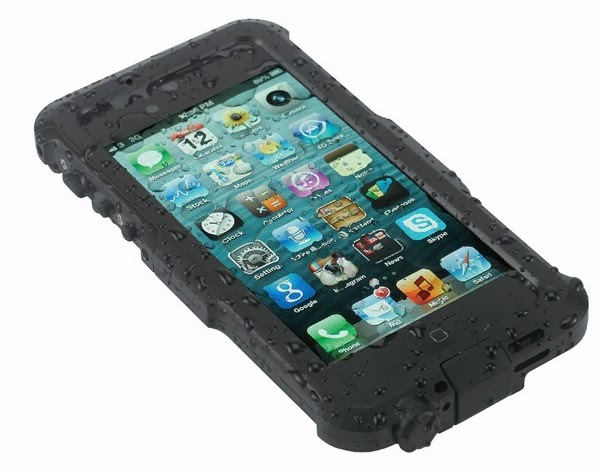 Both cases come boasting waterproof protection for Apple’s iPhone 5 but on top of protection from the elements and accidents, both offer full touch screen control. 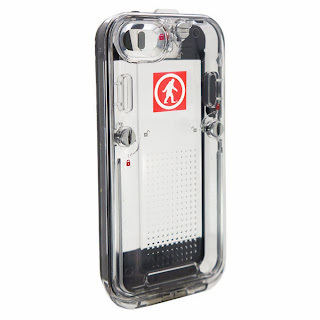 The difference between the cases would be the materials used and the access to all ports, as the Bravo case is constructed of alloy and makes sure all features and ports are accessible whereas the Safe 5 is made up of a plastic case that locks your phone inside and while it does have easy access to the charge port, it does not provide access to plug in headphones. 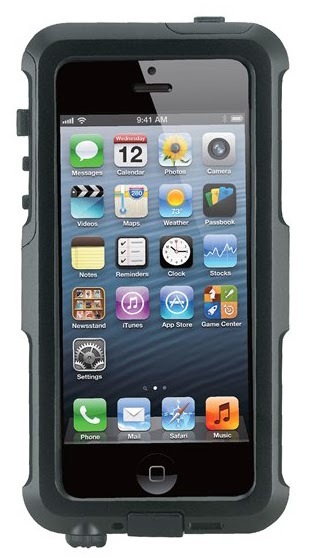 So how do these two cases stack up to each other and which one will stand out as the most rugged? I will begin with the Bravo case offered by bike2power and this case is a beast with it’s alloy structure. 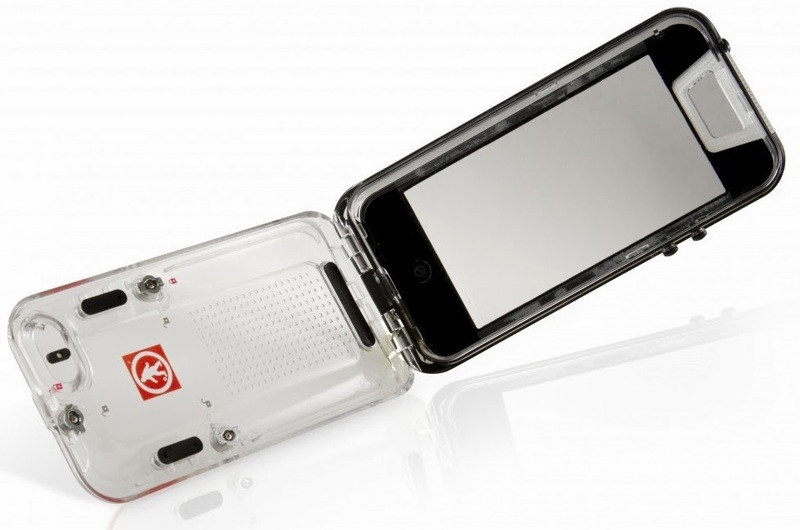 It uses seven screws to install this case to my phone along with a screen protector to keep to keep the water out when submerged in up to 2 meters of water. The case is notched on the sides to make easier to hold onto and adds a weighted feel to the phone. The install was easy and quickly learned I had to torque the screws in place as after a day of use when not extra tight, two screws had come loose. Unlike some of the other metal cases I have reviewed, I did not experience noticeable signal loss on calls, wifi, or streaming via Bluetooth. The only two issues I noticed during use was the nuisance of needing a headphone adapter and the other would be the fit, as it took a couple times to install where the volume down wasn’t being held down and I could switch the ringer on or off. Up next is the Safe 5 from Outdoor Tech, same functionality but different materials and install. Another slight difference is that this case is rated to IPX7 standards whereas the Bravo case is rated at a more rugged IPX8. While the Bravo was used a lot more outside, working around the house and riding, I found it only fitting to take this case to the Glamis sand dunes for Halloween weekend. While I could not keep the sand out of my ports, the Safe 5 definitely could. Being outside for three days, it was three locking screws and and a washer keeping my phone safe from the elements. The case I received was clear, but Outdoor Tech also makes the Safe 5 in orange and aqua to provide a tint to your pictures. 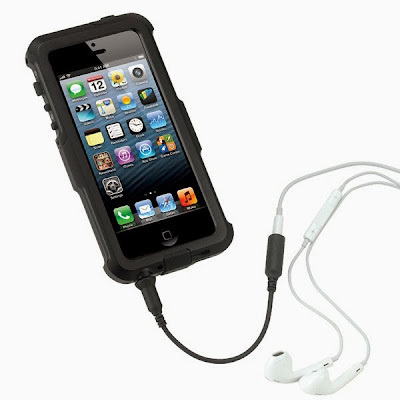 I liked how easy it was to lock the phone in but one downside was that there no way to use headphones while inside the case and I rely on my headphones quite often, luckily it is a fast and easy install should the occasion call for protection. The two cases at hand were definitely up to the task of protecting my iPhone 5 from fluids, sand, and impact, it is just a matter of your preference of material. That and if you need access to use headphones while in the case. I did prefer the sturdy feeling weight of the Bravo’s aluminum case, but install and removal is difficult and requires a special Torx 6 screwdriver which is included. The Safe 5 was great to use out floating in the pool to take pictures, control streaming tunes, and incredibly easy to install, but I missed being able to plug in my headphones and the screen protector got scratched rather easily. If you are one that works outdoors and want a case to keep your phone in for longer periods of time, I suggest the bike2power's Bravo but if you just want to protect your phone from pool parties, the beach, or dunes, and going commando once back to safety, I would suggest Outdoor Tech’s Safe 5. Bike2power Bravo is basically delightful! More delightful than the greater part of rugged cases out there, since its developed from exactness machined air evaluation anodized aluminum. Indeed, it basically matches the smartphone's shocking brushed aluminum packaging – while likewise keeping up a svelte body! Presently its value saying that it has an Ip68 rating, which implies that its waterproof in less than 2 meters of water for up to 30 minutes. Despite the fact that its a durable case, we wouldn't be so excited it is not possible see the repercussions of metal hitting asphalt from tall statures – it simply wouldn't look lovely.